On October 3rd 2015, Germany celebrated the 25th Anniversary of Re-Unification. For too many years East and West were divided by a Wall that surrounded East Berlin. The Wall separated families and friends, and kept people essentially locked up. Granted, not everyone hated being in the East, but many wanted to escape what they considered to be a prison. The series Escape from GDR / Flucht aus der DDR details the history of the Berlin Wall describes the lengths that many people went through to escape being trapped behind it. But more than that, it also describes the political climate and the feeling of the people locked in. 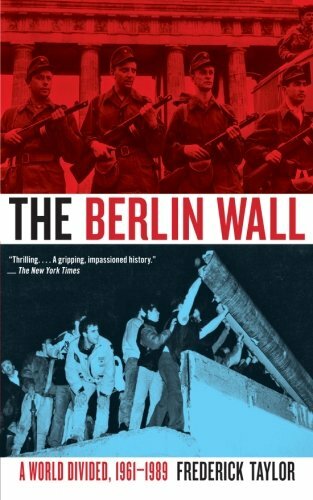 John Sullivan found this multi-part documentary of the History of the Berlin Wall on You Tube for me to share. Each segment takes around 10 minutes. The documentary is in English, with English narration and dubbing over the German interviews. I found the interview with Hagen Koch, the young architect of the Wall, and today a collector of Wall artifacts to be quite interesting. There are also interviews with ex-guards, escapees, and family members of those who tried and failed in their escape. Escape from GDR is a worthy look at a dark piece of history. The Berlin Wall was built in 1961… until then, Berlin was one city that was divided into 4 sections, but without a border. The people of East Berlin were forced to pay war reparations to the Soviets, while the citizens in West Berlin were being given support from the American, British and French Army. As a result, East Berliners moved to the west for jobs and a better life. Naturally, the population of the East begin to rapidly decline. In August, 1961, troops were dispatched to stop this movement of people, then barbed wire was set in place. Since people still found their way through the wire, a wall was built. The wall was not an impregnable fortress. So, the wall was strengthened, and more guard towers were built. Within 10 days, orders were given to shoot people who were attempting escape. 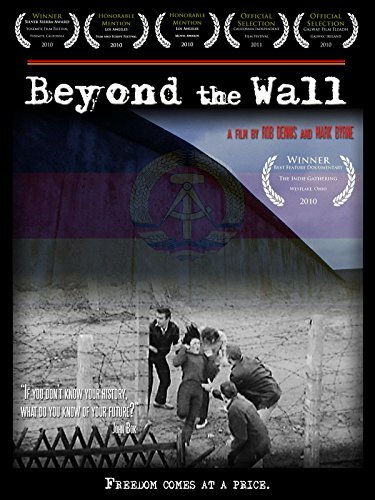 When a teenager was shot, and left to die against the side of the wall in full view of western guards, the horror of the Wall took on new meaning. Guards would kill anyone trying to escape, and the East German government took steps to insure that the guards would not feel guilty about performing their task. More guards are employed. 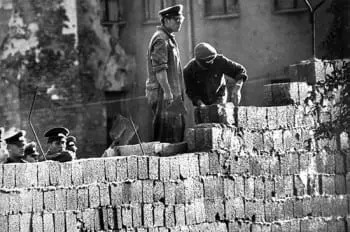 The wall gains in size, is fortified by a “death Strip” and buildings near the wall are demolished. Some openings, like Check Point Charlie are left. 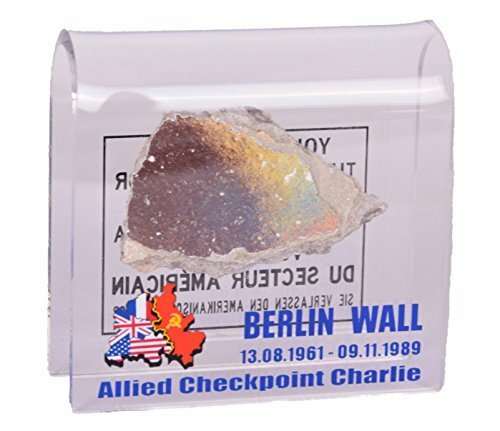 The Check Point Charlie Museum preserves a few methods that people used to escape. In the back of cars or in tunnels. Interviews with escapees detail how they tunneled under the wall. Unbelievable is how NBC gave funds to help build the tunnel, in exchange for footage of the escape. As the 60’s went on, the death strip widened, so tunnels became less practical. The Death strip is widened, and a patrol road is run through it to make it easier for the guards to patrol and respond. New ways of escape were devised. Some tried swimming to freedom across a canal that divided East and West where the wall could not run. Others acted to help people escape in the back of cars. Some were able to get through as “ransomed hostages” in exchange for hard currency. In the mid 70’s the Wall was “improved” once more, and the anti-vehicle ditch was removed. Artists began painting the new smooth wall segments, and the Wall became a tourist attraction on the West side. Escape required more ingenious plans. Some went over the wall by cable, as if they were zip-lining. Another escape went by ultralight! A press conference in 1989 changed everything! People began to line up at the gates, and then the doors opened. First a trickle, then a flood as the barriers were raised. Wall peckers started dismantling the wall. Within a year, the East German government was done. Books, videos… even a piece of the wall. next Is Deutschland 83 on DVD... YES! My Review and Where to Buy it!